A hearty protein filled salad that promises to keep you full. 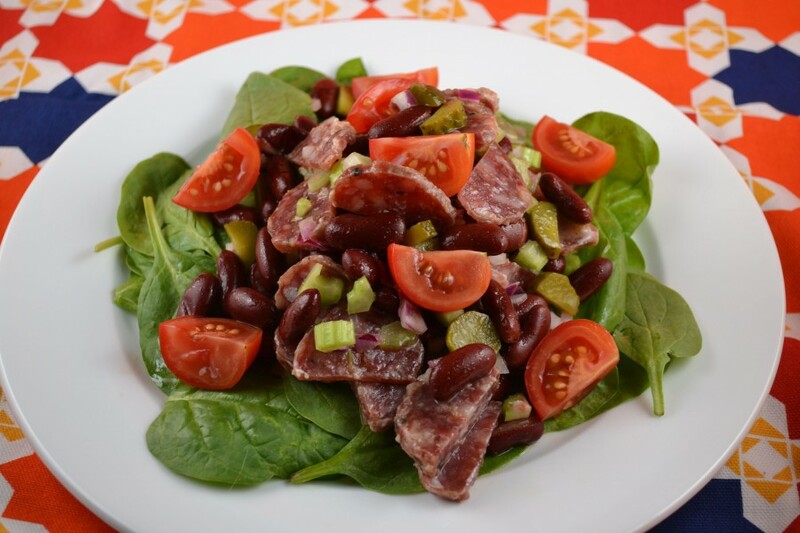 Red bean and Sausage Salad is an unpublished Paula Peck recipe that includes just the right combo of fat and acidity to make it an antipasto like satisfying addition to any meal or greens. Though the recipe recommends salami, any cured sausage may be used. I happened to have an Olli salami on hand which is part of a high end artisinal salami line made using old fashioned family recipes (how appropriate!). 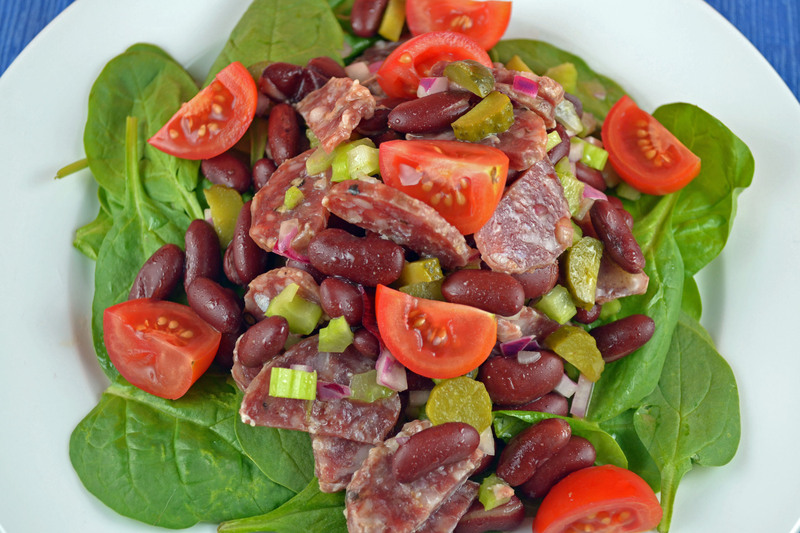 This recipe is flexible and the sweet pickles and kidney beans provide the right balance to work well with just about any variation of sausage or greens. Combine the first seven ingredients in a bowl. Allow to stand while you make dressing. Combine oil, vinegar, mustard, salt, and pepper in a container with a lid. Close container and make sure it is well sealed. Shake vigorously for about 30 seconds to blend and thicken. Pour over salad and season to taste. Serve on spinach or other fresh greens.